Send a Gift They'll Always Remember! Fresh Flowers Make Life Sweeter in So Many Ways. 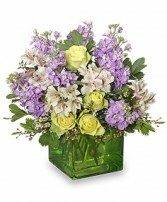 Order Flowers Online - Anytime, Day or Night - or Call LASTING FLORALS Today. Start the New Year Fresh and Beautiful with a Showy Bouquet of Winter Flowers from LASTING FLORALS. We Can Surprise Someone Special for You! Feel Free to Call Us or Order Flowers Online 24/7.